It is May and I am still sharing stuff from Thanksgiving of 2017. Forgive me? 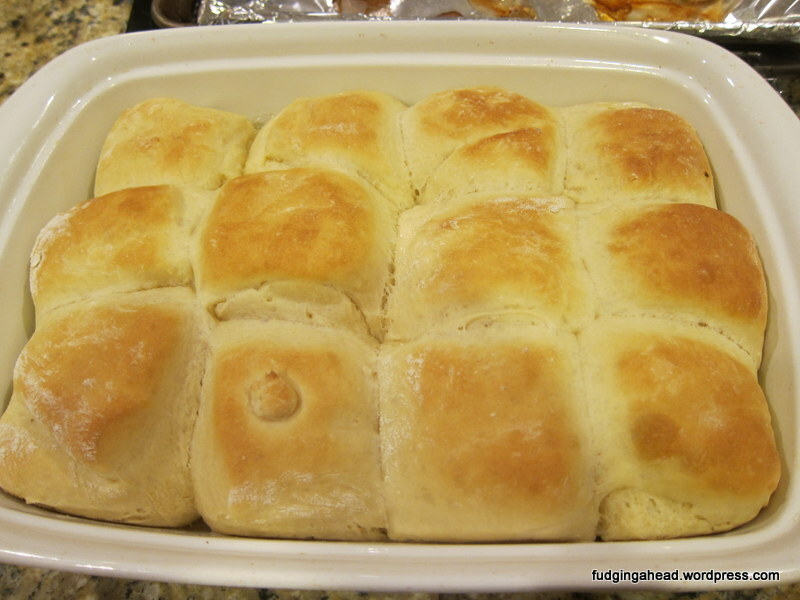 I mean, it’s not like you can’t have rolls all year long. We have had these outside of Thanksgiving, too. 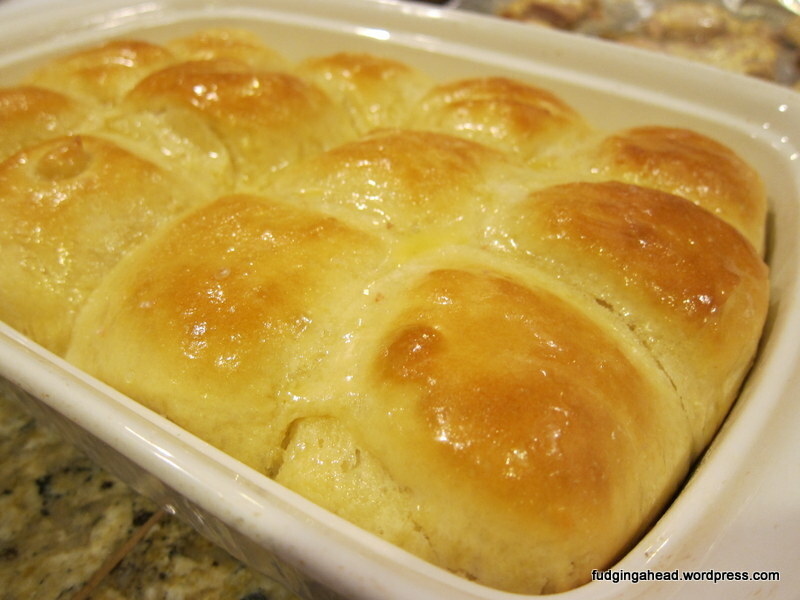 I really like how easy this recipe is and it is pre-buttered. 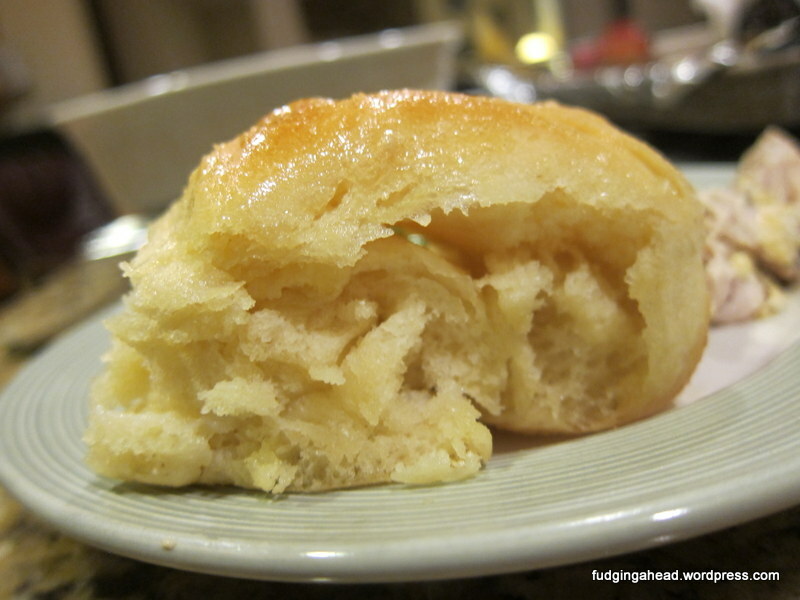 The salt in the dough and on top really brings out the buttery flavor, too. These are a new favorite roll recipe for me. And yeah, the pictures are a bit iffy, but let me remind you again…for Thanksgiving, I had just had the Chiplet 8 days prior. I wasn’t even going to make anything other than a dessert for Thanksgiving, but plans changed last minute. 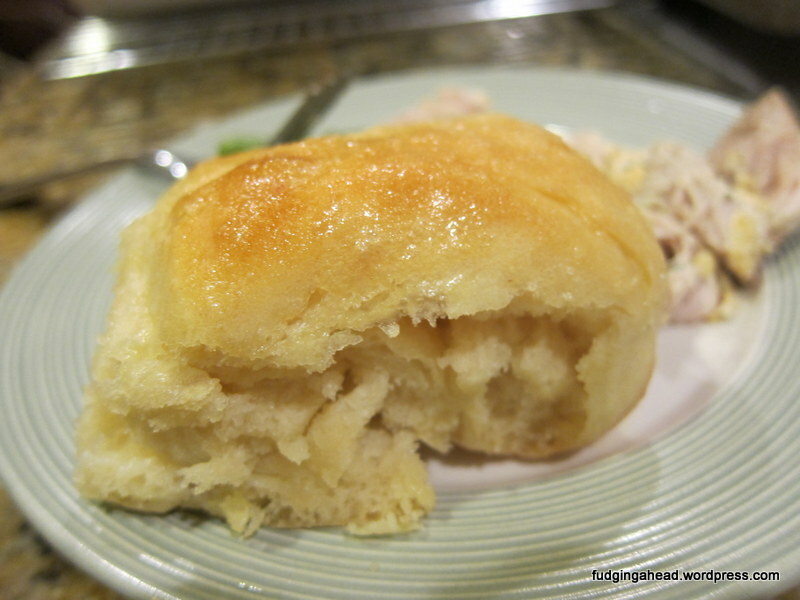 These rolls tasted like I had planned them for weeks. 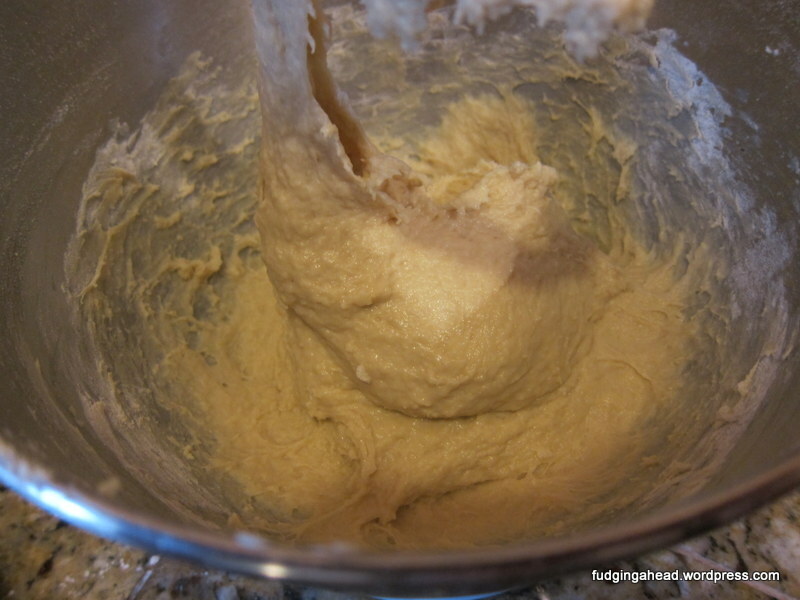 With your stand mixer, use the dough hook and stir together the milk, yeast, honey, eggs, flour, and salt. This will take about 3-4 minutes on a medium low speed. Add 2 Tablespoons of the butter and stir until combined. Cover with plastic wrap and let it sit at room temperature for 1 hour, or until it doubles in size. Butter a 9 by 13 inch baking dish. 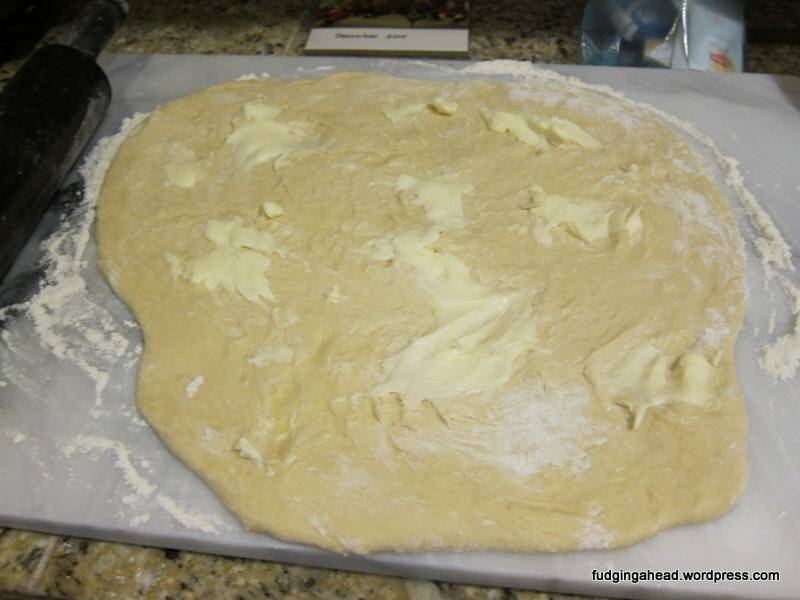 Punch down the dough and place it on a lightly floured surface. Roll it out into a rectangle that is about 1/4 inch thick. 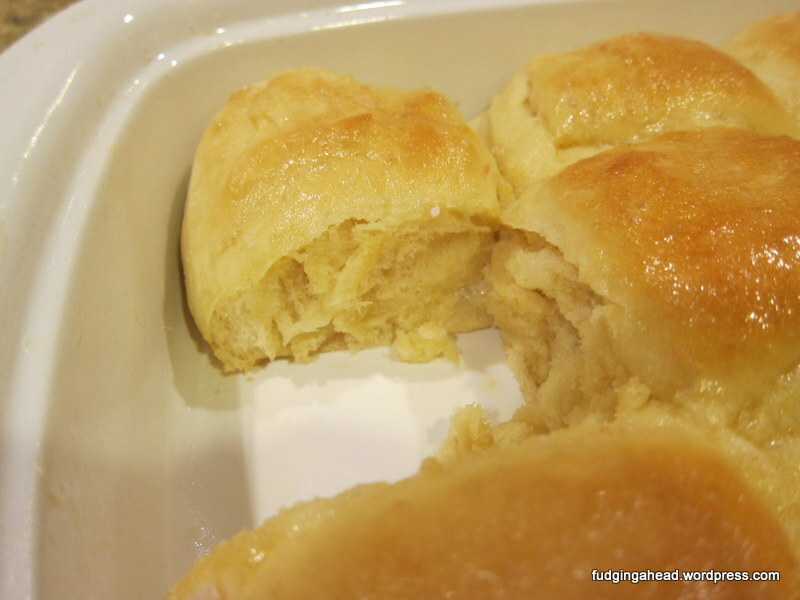 Spread the remaining 4 Tablespoons of softened butter on top. Then, fold one short side to the center. Fold the other short side on top like a letter, creating three layers. 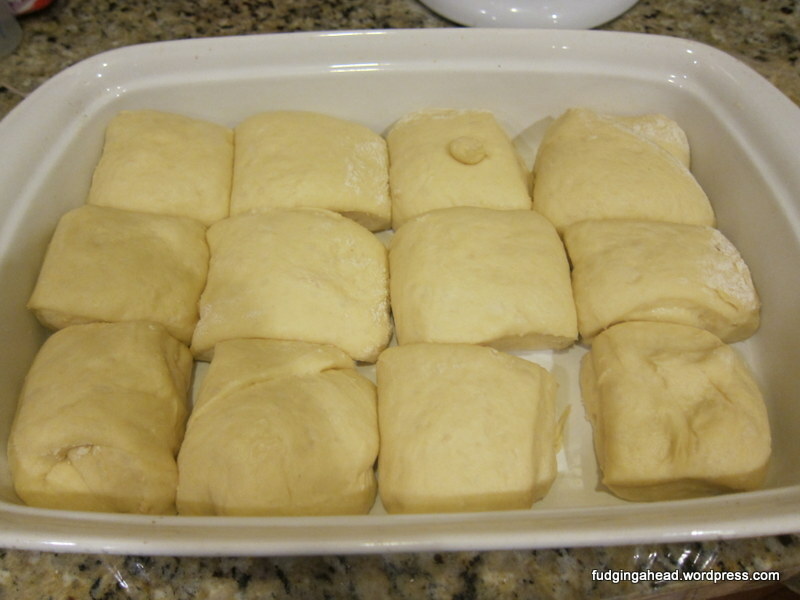 Cut the dough into 12 equal squares, then place in the baking dish (4 rows of 3). Cover and let rise for 45 minutes-1 hour at room temperature until puffy. You can also place the dish in the refrigerator to rise overnight. I’ve also done a combination of letting it rise almost fully at room temperature, then putting it in the refrigerator for a couple hours until I’m ready to bake them. Preheat the oven to 350 degrees F. Bake for 25 minutes, or until they are golden brown on top. Brush immediately with melted butter and sprinkle some salt on top. 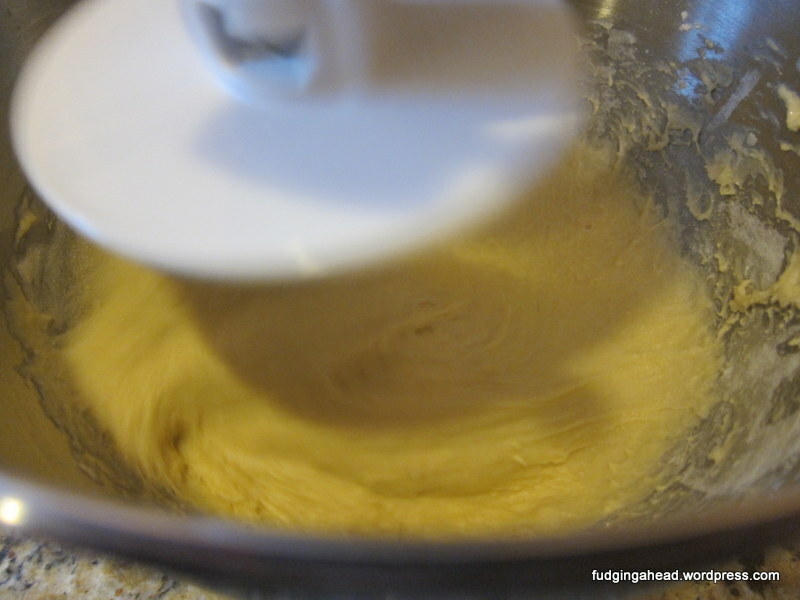 With your stand mixer, use the dough hook and stir together the milk, yeast, honey, eggs, flour, and salt. This will take about 3-4 minutes on a medium low speed. Add 2 Tablespoons of the butter and stir until combined. Butter a 9 by 13 inch baking dish. 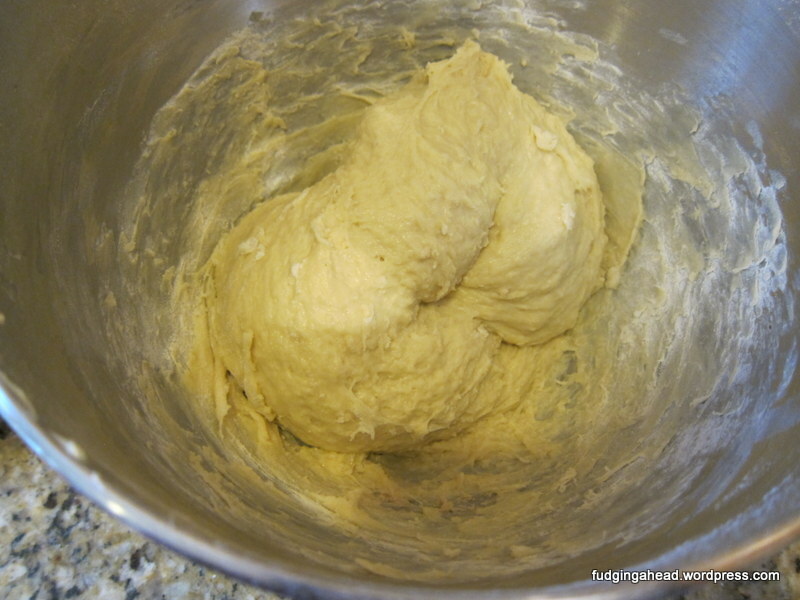 Punch down the dough and place it on a lightly floured surface. Roll it out into a rectangle that is about 1/4 inch thick. Spread the remaining 4 Tablespoons of softened butter on top. Then, fold one short side to the center. Fold the other short side on top like a letter, creating three layers. 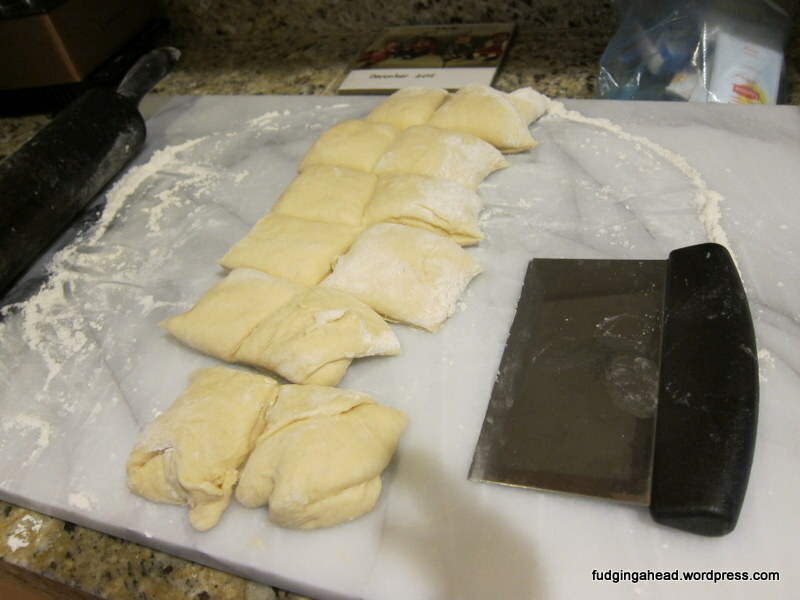 Cut the dough into 12 equal squares, then place in the baking dish (4 rows of 3). Cover and let rise for 45 minutes-1 hour at room temperature until puffy. You can also place the dish in the refrigerator to rise overnight. 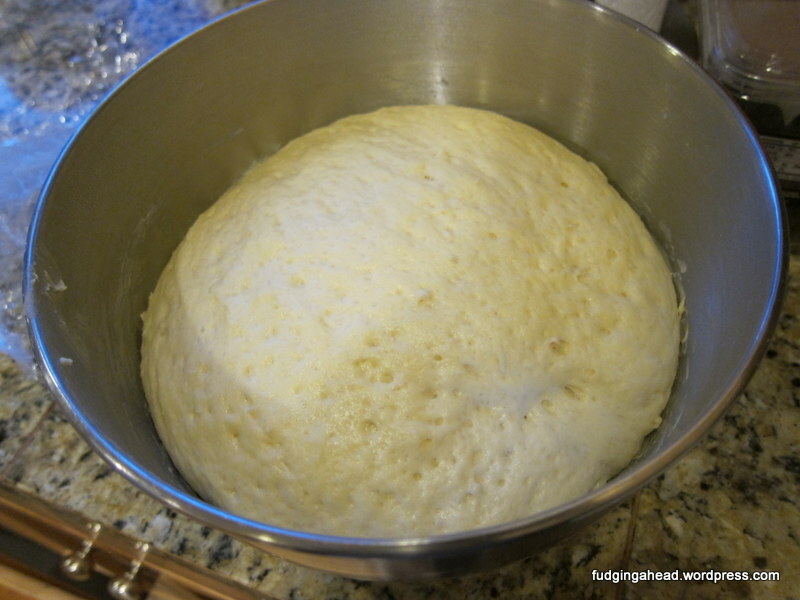 I’ve also done a combination of letting it rise almost fully at room temperature, then putting it in the refrigerator for a couple hours until I’m ready to bake them. Preheat the oven to 350 degrees F. Bake for 25 minutes, or until they are golden brown on top. Brush immediately with melted butter and sprinkle some salt on top. Serve.